For me, it wasn’t as instantaneous. But in recent years, I’ve definitely become a better custodian of my backyard playground. 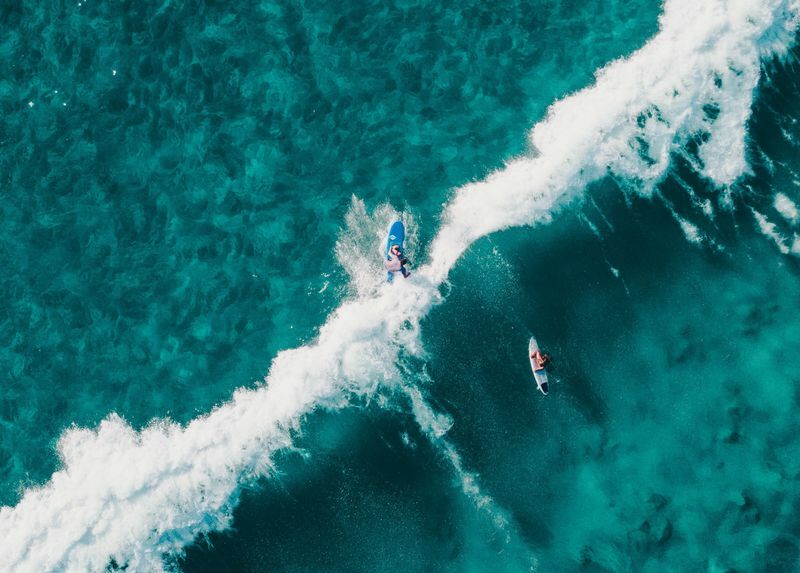 Despite the ‘ban plastic’ movements that have been proliferated through social media, there’s still a lot that can be done to ensure we don’t ruin every beach on the planet and our enjoyment of the ocean. The problem isn’t as insurmountable as you may think. Everyone can make an impact. As Gandhi once said, “Be the change you wish to see in the world”. 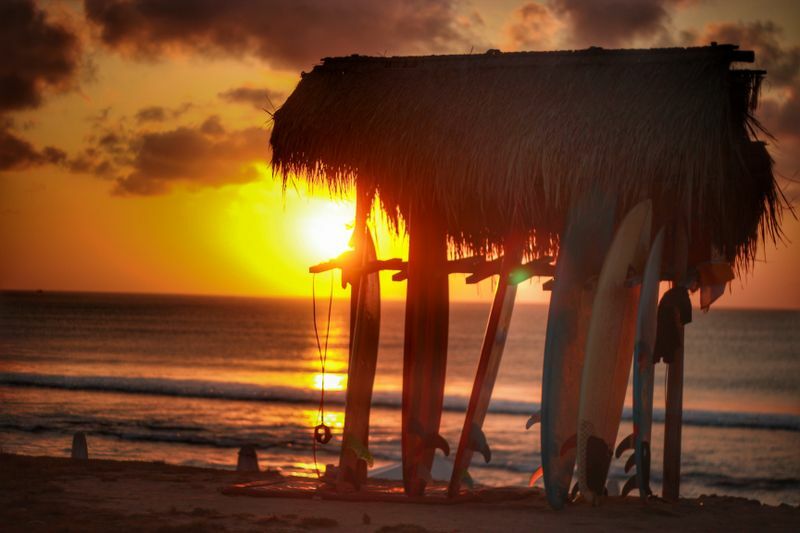 On your next surfing trip, go green and choose an eco-friendly surf camp! 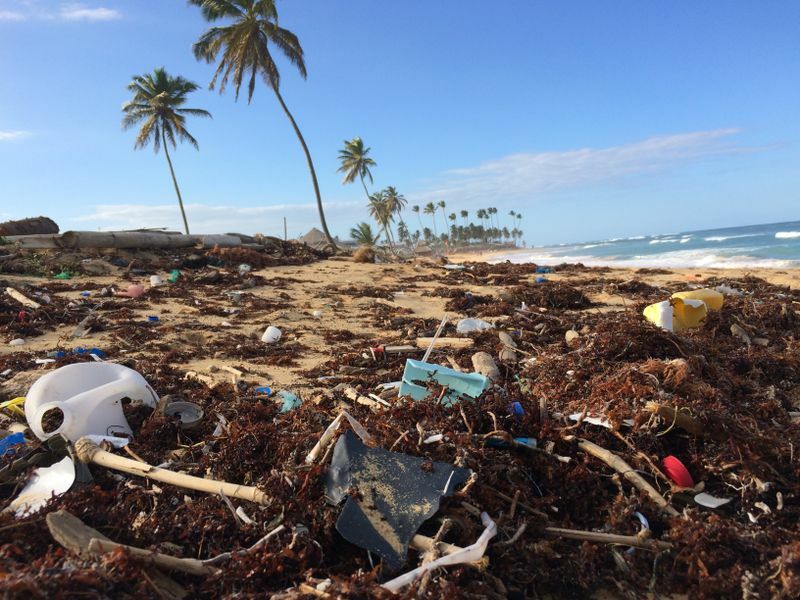 Something as simple as picking up bits of plastic, general trash and cigarette butts from the beach will not only help the environment but also prevent toxicosis in animals and even small children. Whilst most people realize that piles of plastic trash aren’t great, smaller bits of microplastics and things like cigarette butts are often overlooked. But they are the number 1 man-made ocean contaminant. Cigarette butts have nasty chemicals in their filters that pose a high toxicity threat to aquatic environments. Participating in beach cleanups is another great way to help out. This is perhaps the hardest, especially for surfers who rip – sacrificing a high-performance epoxy or a PU board for a more environmentally-friendly surfboard such as wood or cork. After all, there’s a reason why all the pros opt for fiberglass boards. At the moment, there’s just no beating the weight and performance they offer. 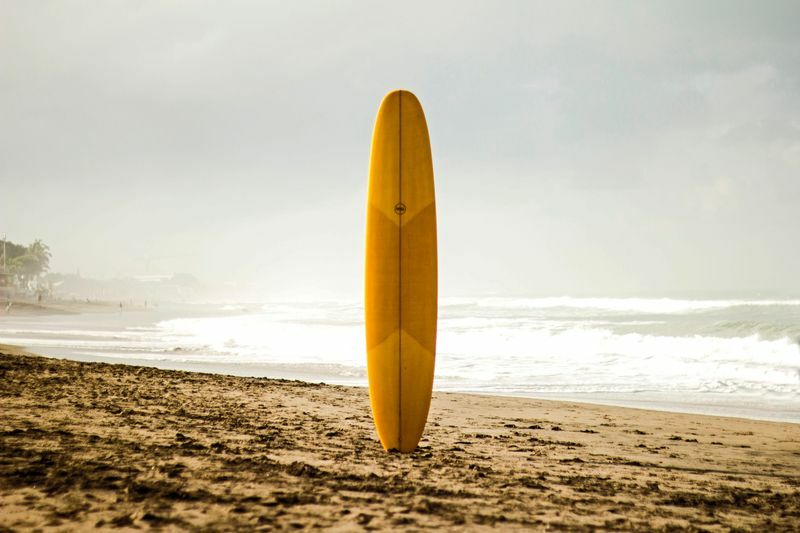 Although new bio-resins are being introduced, the process of making these boards is generally not that environmentally friendly: toxic chemicals and foam are not so good for mother earth. 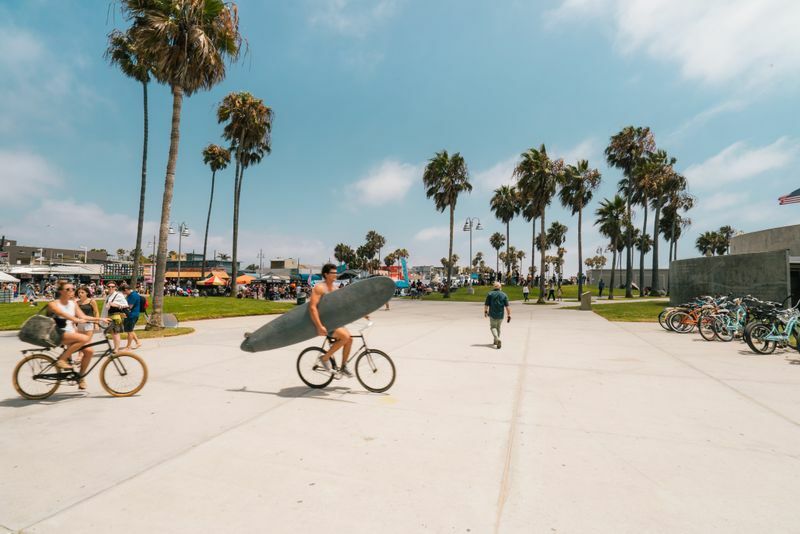 The good news is that there are more eco-friendly shapers springing up, which use materials like paulownia, bamboo, and cork when building surfboards. Not only will you have an awesome eco-friendly surfboard, but it might even last a lot longer than your average brand surfboard. 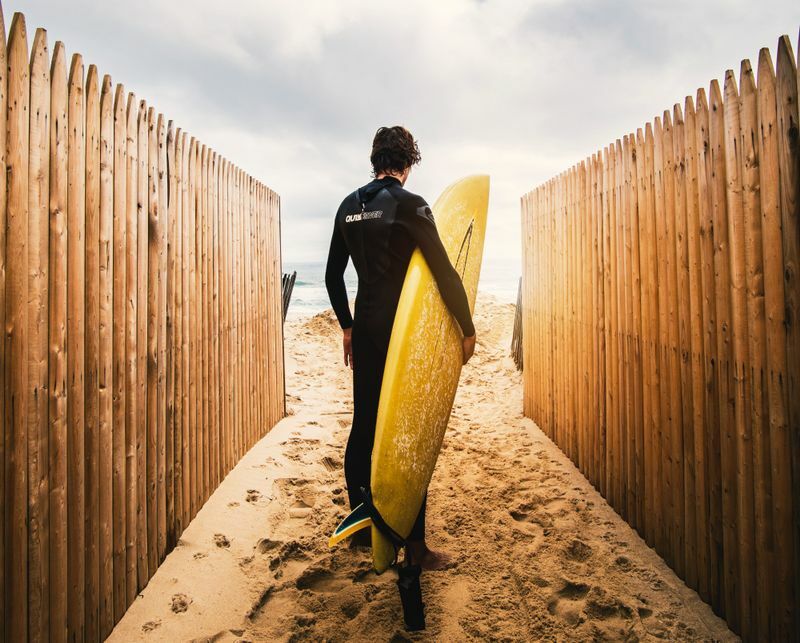 Did you know that most wetsuits are made from neoprene? 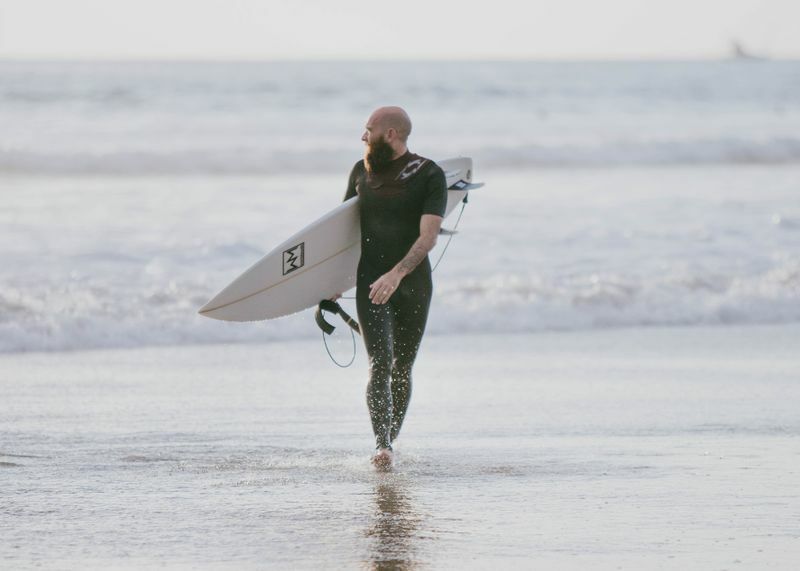 This material is either made from a petroleum or limestone derivative, meaning that your nice warm wetsuit is the product of mining or drilling. If you’re not cool with this, you can take your purchasing power elsewhere. 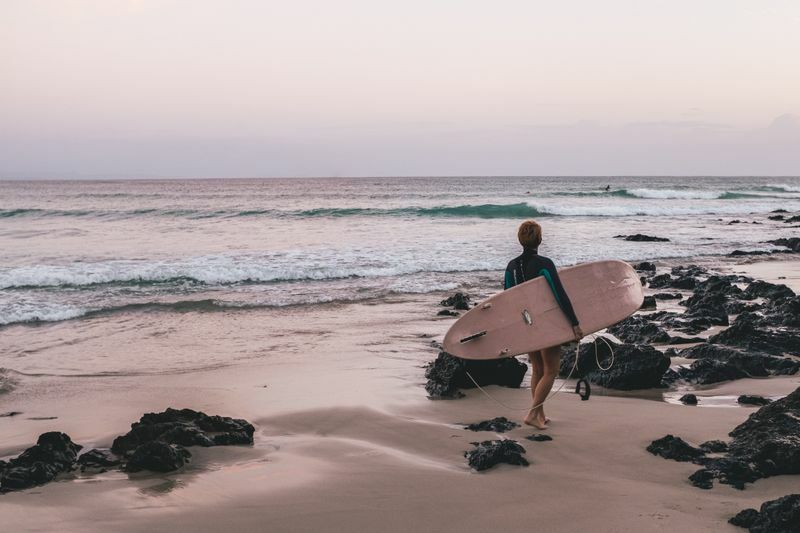 A number of companies are making ‘greener’ wetsuits, such as Vissla, Patagonia, Picture Organic, and Soöruz, all offering alternatives to neoprene such as natural rubber or Naturalprene. 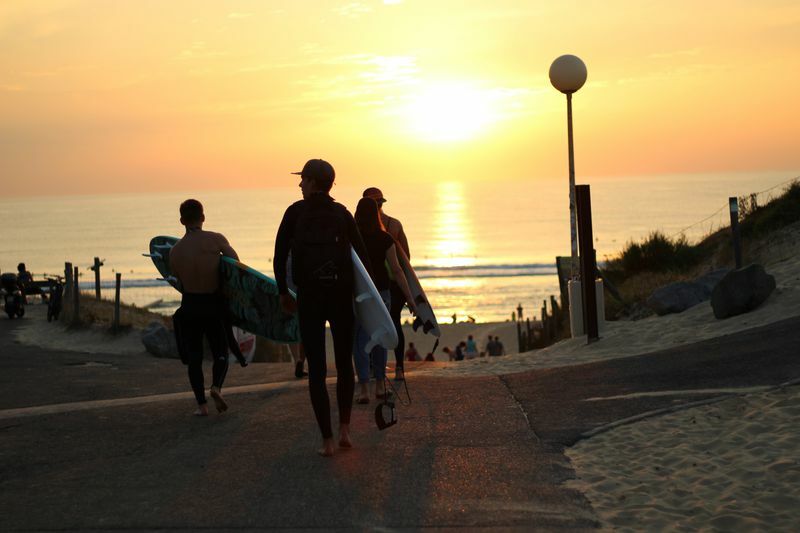 If you live within a 5km radius from your local break, why not take ride your bike to surf? Especially in summer, you can take advantage of the warmer weather, all the while not having to worry about finding a parking spot or leaving your valuables inside your car. All you need is a bike and a bike surfboard rack and you’re all set. You’ll be saving money on gas and helping the environment. It’s a win-win! You can either make your own or purchase an eco wax block online or from your local surf shop. Making your own will involve a bit of time, but it’s fairly straightforward. However, it might take a few tries to perfect a batch. The older I get the less inclined I am to do long haul surf trips. As fun as they may be and the promise of pristine conditions and warm waters, I’ve come to a point in my life where I’d just rather surf my local beach break. Yes, I know this sounds pretty boring but there’s also a reason behind it. I have no grand illusions of becoming a pro surfer, so why do I need to go to Teahupoo? The answer is I don’t, and if you start to think about all the trips you’ve taken in the last few years, the guilt will soon start to set in. How much carbon dioxide did that 14-hour long-haul flight release into the atmosphere? Did your accommodation choices really benefit the local economy or did they just benefit multinational hotel chains? 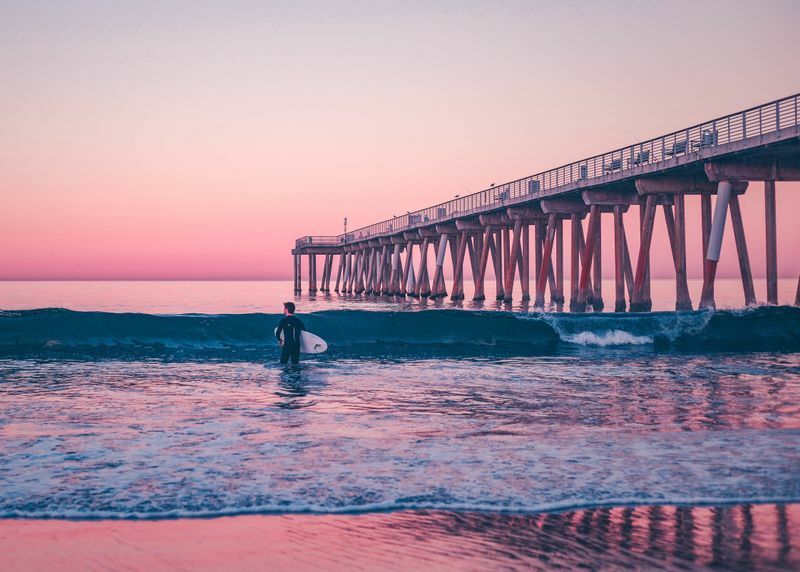 If you do decide to go on an exciting surf trip further away from home, you can offset your carbon footprint through charity donations, planting trees, or joining one of these surfer-based ocean conservation organizations. These are just some of the examples of what we can all hopefully do to make sure we can enjoy our oceans for years to come. Change comes from within and if you want to help make a difference, start with the little things. 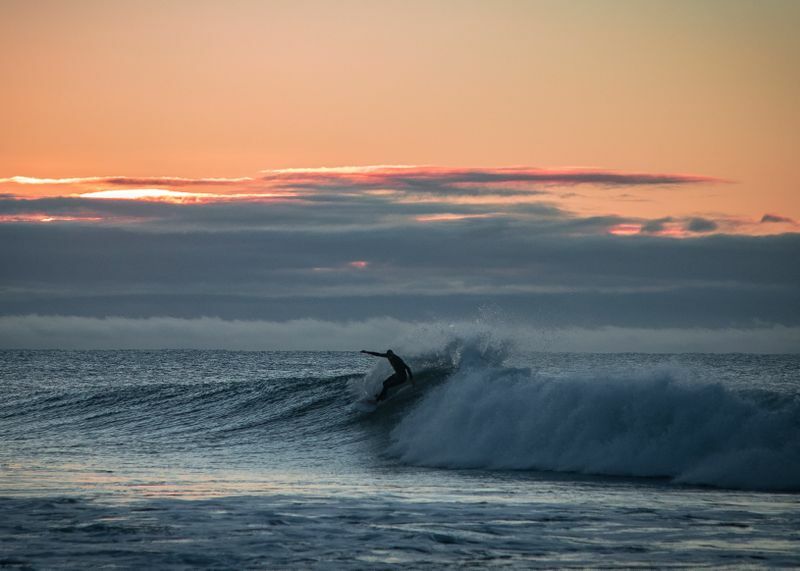 Join a surf camp and share your love for the ocean and the above-mentioned tips for being an eco-friendly surfer with other like-minded individuals. Dom is the owner of Shaka Surf, an online eco surf store selling a range of clothes, surf gear, and accessories inspired by nature. 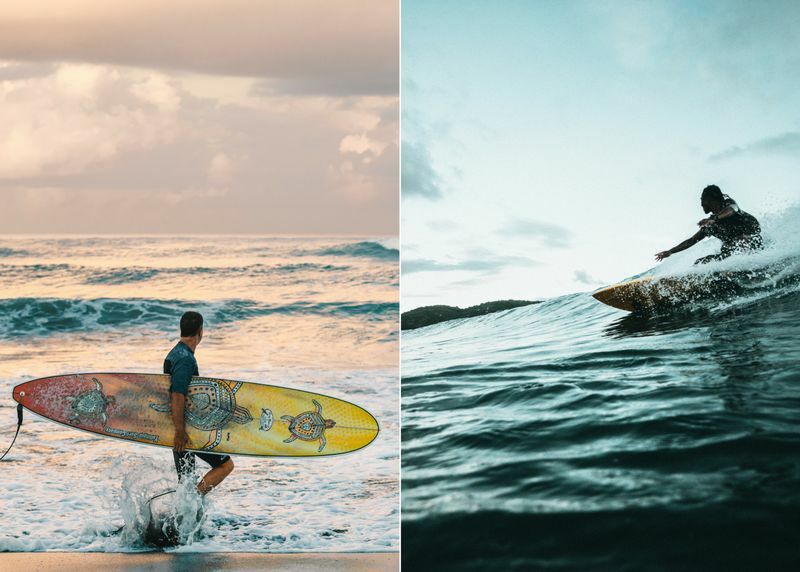 Dom is an eco-conscious surfer currently based in Portugal. He is the owner of Shaka Surf, an online eco surf store.